When fans of The Orville say that creator and star Seth MacFarlane was born to play a starship captain, they may not know how right they are. MacFarlane has long been know as a die-hard Star Trek fan and he brings that love of the franchise to The Orville, his lighthearted love letter to classic Star Trek television. As if all of that wasn’t enough, the YouTube channel "TrekGenius News ertainment"
has managed to dig up an old Star Trek fan film that MacFarlane made as a teenager, in which he plays none other than Captain James Tiberius Kirk. You can definitely see some of the same energy that MacFarlane brings to the role of Captain Ed Mercer on The Orville in his performance as Kirk. See for yourself in the video above. MacFarlane has brought his love of Star Trek to the fore previously. He reunited the cast of Star Trek: The Next Generation in an episode of his hit animated series Family Guy and worked with Next Generation star Patrick Stewart on another animated series, American Dad! MacFarlane also made cameo appearances in two episodes of Star Trek: Enterprise. 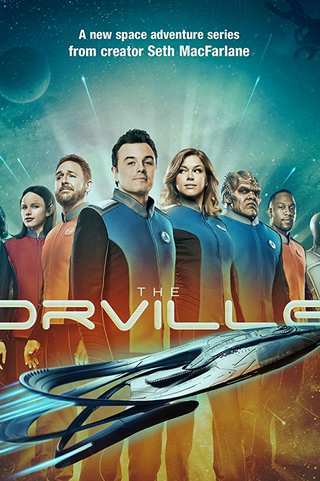 While promoting The Orville, MacFarlane talked about how he wanted the show to fill the void in television that’s been there since Star Trek: Enterprise, the last Star Trek series to air on television, was canceled. "What's happened is it's left open a space that has been relatively unoccupied for a while in the genre,” Macfarlane said. “For me, it's a space that's kind of waiting to be filled in this day and age when we're getting a lot of dystopian science fiction. This is sort of an attempt to fill that void in that genre." MacFarlane has definitely managed to rekindle that Star Trek spirit in The Orville, which was FOX's biggest debut series in years.